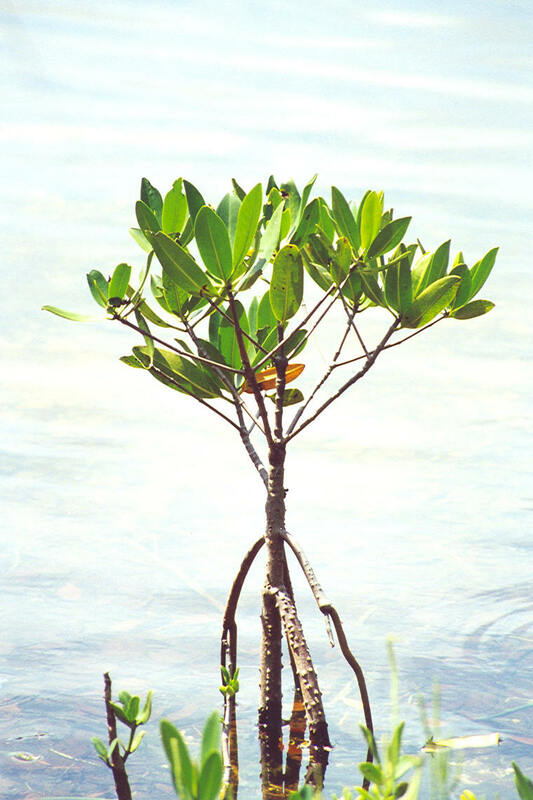 home › posts › Mangrove Must-knows ten trees planted for every item purchased. Mangroves truly are a super tree, the effects of which are incredibly far reaching. While in North America we don't get to see many of the benefits (save for Florida and the West Indies), much of the rest of the world depends on them for an entire rolodex of reasons. tentree is busy planting mangroves in countries throughout Africa, providing environmental stability and both seasonal and full time employment for local workers. Below are the must-knows when it comes to mangroves. Species, species, species! The term mangrove can refer to one of three things: an entire habitat and plant assemblage, trees and shrubs within a mangrove swamp, or trees within the specific mangrove plant genus, Rhizophora. Broadly speaking, there are nearly 110 species that are considered to be "mangroves", although much fewer that are actually members of the mangrove plant genus, known as "true mangroves". Mangrove trees can be found in 118 countries and territories on five continents across the planet. In the year 2000, they encompassed a total area of 137,760 km², comparable to the size of Arkansas. Asia is home to the largest portion of mangroves in the world, that being 42%. The majority of these trees are found in Southeast Asia. Salty Submersion With every high tide, the stilt roots of mangroves are entirely submerged in saltwater. They use these roots to breathe, particularly when growing in anaerobic sediments (highly organic sediment formed in the absence or near absence of oxygen in water that is rich in hydrogen sulfide). 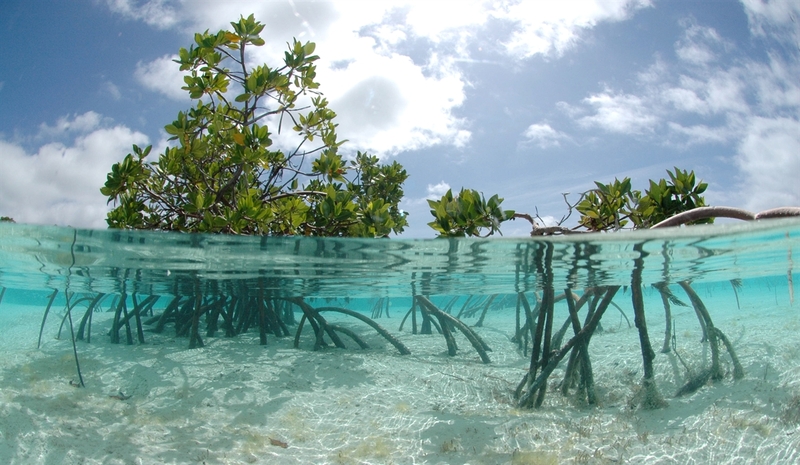 Mangroves are so adept at desalinating the water they drink that they can remove up to 99% of it, making them perfectly suitable for life in brackish water. Mangroves are more than just trees. They're also home to countless organisms. The forests act as breeding grounds for shrimp, crabs, fish, and shellfish, and as nesting spots for monkeys, fishing cats, lizards, sea turtles, and crocodiles (just to name a few). These animals are just as beneficial to the habitat as the trees themselves are. For example, mangrove crabs actively take fallen leaves into the burrows and chambers within the swath of roots. This resulting mulch is quickly colonized by bacteria and consumed by other creatures in the area, releasing the nutrients back into the habitat and enhancing the forest. Mangrove forests are incredibly important when it comes to land protection during natural disasters. They stabilize shorelines and prevent erosion, as well as serve as storm buffers by reducing damage done by waves and wind in shallow shoreline areas during hurricanes/cyclones and tsunamis. A study released in the journal Science showed that areas with dense mangrove cover were drastically less affected by the 2004 Boxing Day tsunami than areas without tree vegetation along the shoreline. The study confirms that 30 trees per 100 square meters can reduce the maximum flow of a tsunami by more than 90%. The post Mangrove Must-knows appeared first on tentree.